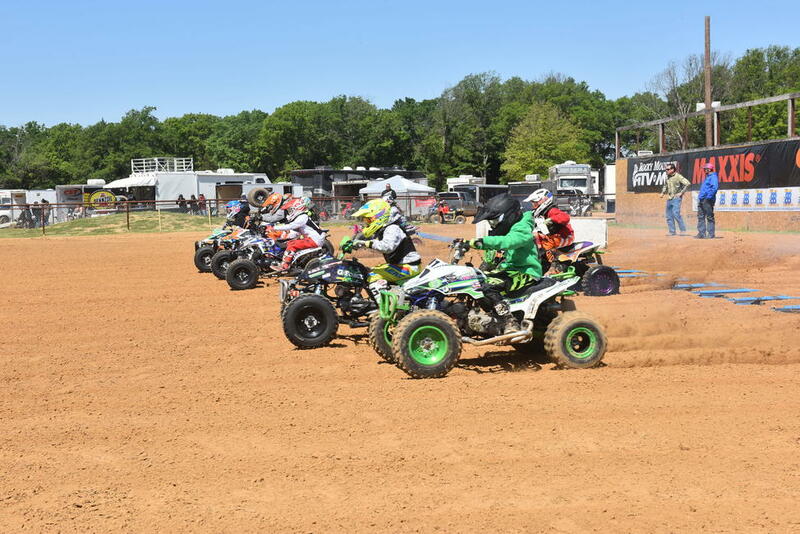 This weekend we are set to kick off the 2019 ATV Motocross season with amateur racing in Texas! The AMA Pro ATV class has already completed one round in Daytona Beach, Florida, where we saw Phoenix Racing Honda's Joel Hetrick take the overall win. Baldwin/Jeff Rastrelli Land Grading/Ford Brothers Racing Honda's Jeffrey Rastrelli finished second just ahead of Wienen Motorsports/Yamaha's Chad Wienen. We also saw some new faces making the move up to the professional ranks including Pro-Am Champion, Brandon Hoag, Cody Ford, Jaron Cochran, Alan Myers and Brad Riley. This season is going to be one to keep an eye on, with new faces emerging the possibilities are endless. With this weekend kicking off amateur racing for the 2019 season, things are going to be heating up! 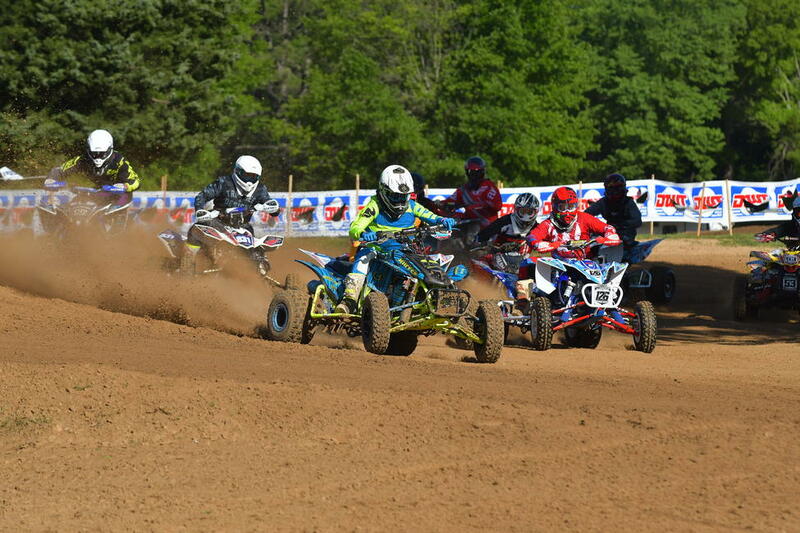 Last season the amateur battles were great to watch, the Open Pro Sport class saw six different winners throughout nine rounds with Logan Stanfield taking the championship. In the Super Mini (12-15) class, five different racers took home victories with Lane Baird taking the #1 plate at the end of the season. In the Girls (8-15) class, Natalie Jackson earned three wins and the class championship while two other girls joined her in the victory circle throughout the season. What we can count on is great racing this weekend! 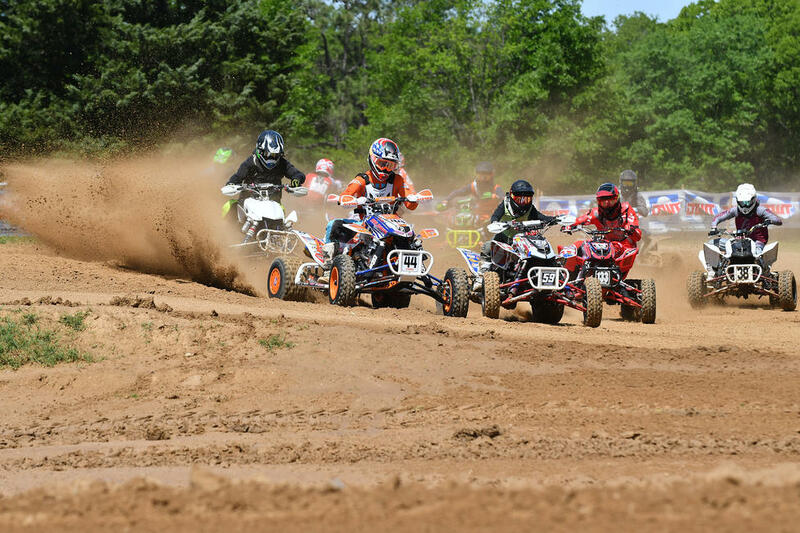 We can't wait to see the outcome and see our ATVMX Racin' Nation this weekend. Check out Ken Hill's piece below and then a list of things to do around the Underground MX Park facility. Want to have something featured in Site Lap? Send over the information and any photos to [email protected]. We will get it included in the next upcoming Site Lap! Here it is folks, the 2019 ATV Motocross season is in staging and the ﬁrst gate is about to be loaded! We are 3 days away from the new race season as everyone sure seems to be looking forward to heading to Texas and Underground MX to kick this year oﬀ in style! The chatter on social media has been heating up as everyone puts the ﬁnishing touches on things and soon we will all get to see who put in the eﬀort during the oﬀ season. It is hard to believe it has been almost eight months since the last gate dropped at the ﬁnal round and I know I am ready to get the 2019 motocross season rolling! 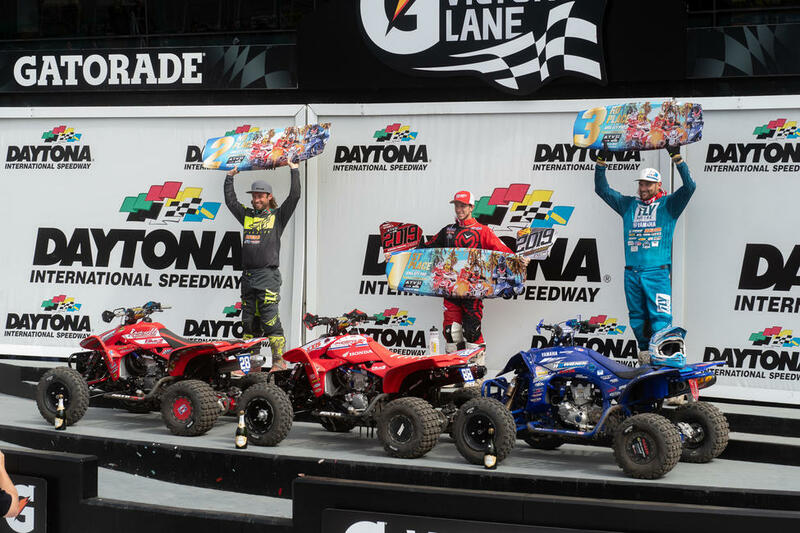 The pro class got to drop the hammer at the Fly Racing ATVSX at Daytona International Speedway a few weeks back and Joel Hetrick ﬁnally strolled out of the sunshine state with a win. I think everyone expected Hetrick, Wienen, Brown and Rastrelli to be all in the mix for a podium ﬁnish and they are the top picks once again for what should be another intense pro class points battle. I don’t usually judge things based on Daytona but those four riders showed us all that they are picking up right where they left oﬀ in 2018. Nick Gennusa is back on blue so it will be interesting to watch how he handles the change and if he can ﬁnd that little bit of speed he needs to be ﬁghting for a top ﬁve at every round. We did see some new names join the pro ranks at this round and I have a feeling when we get into more traditional motocross venues they will be sorting things out as their rookie season unfolds. 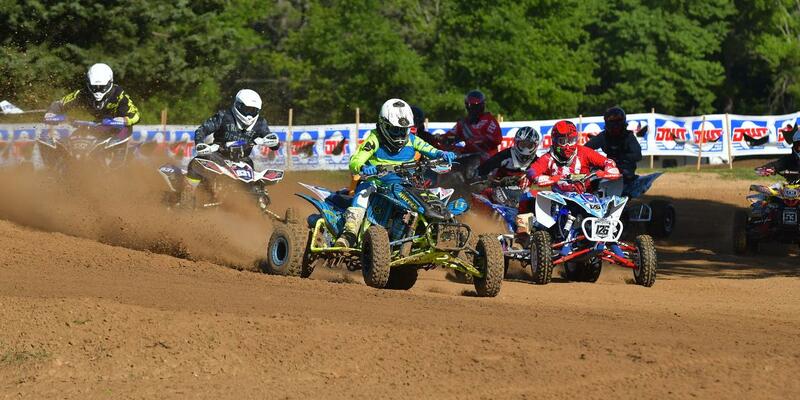 Now the cool thing this year at the ATVSX was the vintage races that took place on the same day our pros raced. It was indeed very cool to see the bikes of yesteryear out on the legendary Daytona dirt and I had to ask myself, why not have a vintage class for the ATV’s? I heard that Pro Am may be added back into this event for 2020 and it appears the vintage bike race will be held again so why not! Maybe someone in a position to make this happen will stumble across this and give it a thumbs up! That is about all from me as the action besides Daytona has been, well, non existent for the most part. It was seriously awesome to see Chad Wienen head to South America and win one very well attended race which estimates say 150,000 spectators lined the event and cheered on the immense number of racers! A big congrats to Chad for a job well done and bringing a big win home to the US of A! Be sure to visit the event page to check on the details of each round and plan accordingly. Once we get into the swing of things the season will seem to come at us fast and furious so the more planning you can do the better time you can have! Also be sure to tag #ATVMX in your social media posts so we can dig into how your weekend went! As always, be safe in all you do and may God continue to bless us all! See ya’ll in Texas! The location at Underground is pretty much perfect! They are an hour outside of Dallas in Lake Country, an area with a unique vibe. However, you don't need to head to the city, they have it all within minutes! • GUN BARREL CITY – Jalapeno Tree and Hectors (on 334) offer consistently good TexMex Cuisine and some of the best Margaritas on the lake. • KEMP – Head north on 274 into Kemp. Take a left at the light, and just past Dairy Queen you’ll find a tiny little Mexican joint called La Fuente. Try the burrito fully loaded. You’ll love it! • MABANK – BnR Country Grill is the place to go for great burgers, fries, pizza. No reservations required! And now Dickies BBQ is in town (corner of 198 and Bus 175). • SEVEN POINTS – Head south on 274 and you’ll end up in Seven Points. Take a left at the light, and El Jacalito is directly on your right or go a little further to El Manantial, also on your right (across from Cedar Creek Brewery). Here you’ll find awesome chips and salsa, cold drinks, plus live, local entertainment. • Sonic and Dairy Queen never disappoint, and Subway is a track favorite. You’ll find DQ locations in every direction: Kemp, Seven Points, Gun Barrel City and Mabank. Sonic is also in Kemp (274), Seven Points (334) and Gun Barrel City (198), and SUBWAY can be found in Kemp , Gun Barrel City and Mabank. WalMart has a second GBC Subway. • Bean & Burger in Mabank is another favorite, and you won’t leave hungry. Their burgers are big and juicy, and the beans – well, you just have to try them! If you need a good home cooked meal, from soup and grilled cheese to country fried steak slathered in rich, creamy gravy, we've got a place for you. • GUN BARREL CITY – Try it cafeteria-style at Cochrans Café, for awesome catfish, fried chicken, fried okra, and more. GBC also has the Huddle House, where you can get a great cup of coffee and a waffle that sticks to your ribs – 24 hours a day. • MABANK – Mabank Café on 198 serves up some of the heartiest breakfasts around, as well as delicious homemade soups, breads and pies. Open breakfast and lunch. • SEVEN POINTS – You may have to wait in line, but at McClains, the down home cookin’ is worth the wait. You’ll find it on the Northeast corner of 274 and 334 in Seven Points. • We can’t bring you to lake country without recommending you try the fish. Catfish Corner in Seven Points has been a local favorite for decades, and Lake Jackson Seafood in Gun Barrel City receives rave reviews for its Cajun-inspired menu. • In Seven Points, check out Tavi’s on 334 as you head east towards Gun Barrel City. If in Gun Barrel City, you’ll want to head to Vetoni’s which is over on 198. • Cedar Creek Brewery is the place to be in Seven Points, with several craft beers to chose from and some really awesome food choices at Plowboys right in the Brewery. Great outdoor area too! • COFFEE: Starbucks is now in GBC and check out Coffee Love also in Gun Barrel City – located in the Bealls shopping center. Here are a few places for fun shopping in Underground MX Territory. KEMP - Mickies is near by and easy to find. Head north on 274 and take a left at the light, you’ll find Mickie’s about a half mile down on Business 175 on your right, with purses, jewelry and fun accessories for women and girls of all ages. SEVEN POINTS – Big Daddy’s Flea Market – head south on 274 past the light and go a mile or two down the road and you’ll find Big Daddy’s Flea Market on your left. With more than 100 vendors on Saturdays and Sundays, you can even find the kitchen sink.